A quantum leap is a breakthrough to something radically different, and it’s HUGE. Quantum leaps can carry you to dramatically higher levels rapidly and they happen by sudden, unexpected grace. 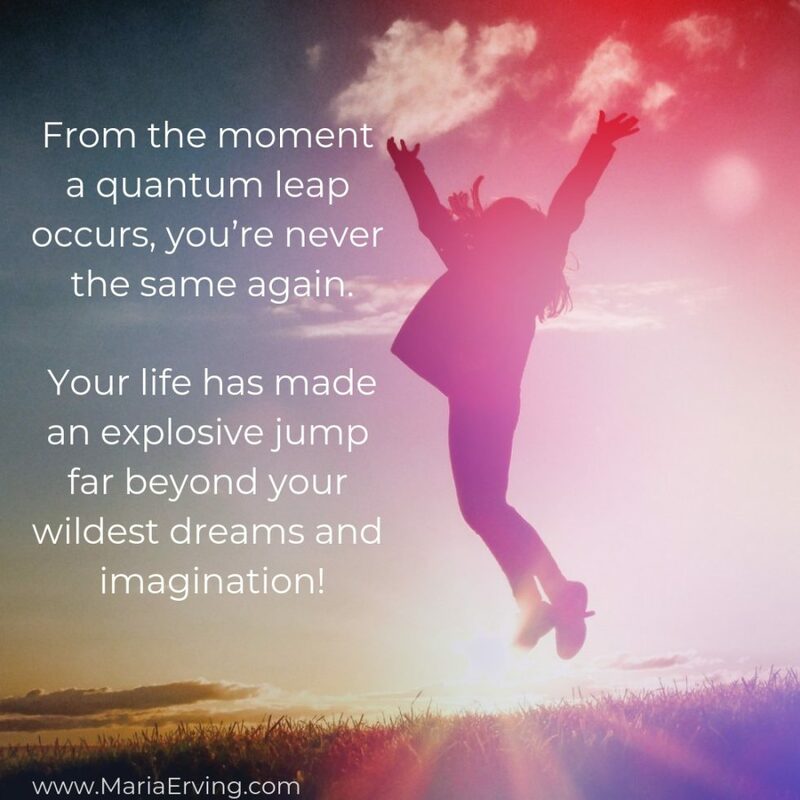 In my own experience quantum leaps happens when you have laid the groundwork for something big to happen, when you’ve done vibrational work and are in alignment. The quantum leap is kind of the last leg in the breakthrough process and this is the part that you can’t do yourself, it’s completely out of your hands. That’s why it feels and is experienced as if it comes to you by grace. It’s a gift, and it takes you several levels higher (and even skips levels!) than where you’ve ever been before. Even if you’ve not done any specific groundwork for anything in your life you can still experience a quantum leap if you are willing to be a cooperative component in the unfolding of it and ready to move your feet, because they can come suddenly and you have to be able to move with the quantum leap when it happens. It also means you have to be ready and willing to make moves that might be utterly illogical and unusual and take actions that may completely contradict common sense. an abrupt change, sudden large increase, or dramatic advance. 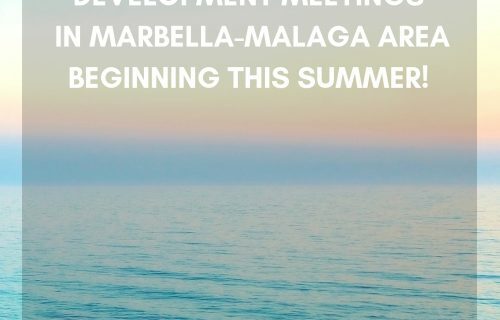 a sudden large change, development, or improvement. a sudden highly significant advance; breakthrough: a great improvement or important development in something. In my next post I’ll share a transformational invocation/activation that will open up the door for you to experience a massive quantum leap in your life. I recommend that you read it every morning before you do anything else (like logging into your computer etc), and each night just before you go to bed. The mind is in alpha at those times and by feeding your mind with this powerful invocation it will be activated in the morning and it will also do its amazing work in your subconscious mind while you sleep. A quantum leap is not something you have to ask for, but something you only have to say yes to and accept into your life experience. It’s a gift from the Universe to you. The Universe wants to bless you, so read it out loud to yourself twice a day, with feeling. Really feel (very important) the words and get emotionally involved in them as you read them. You can even write it out by hand to get it even more powerfully activated. I’ve also created a 4-page long PDF for you to download so that you can print it. As you read it, emphasize the words feelingly, and if you write it out or print it, underline words that speaks powerfully to you and really feel them. Feeling is the secret, so get emotionally connected to them. To read and download the quantum leap invocation/activation and PDF, go HERE.